Interesting how a photo on pinterest (the one above) can take you down the rabbit's hole. And I'm so glad I took the little scenic side trip because it lead me to this fabulous designer, Greg Natale. 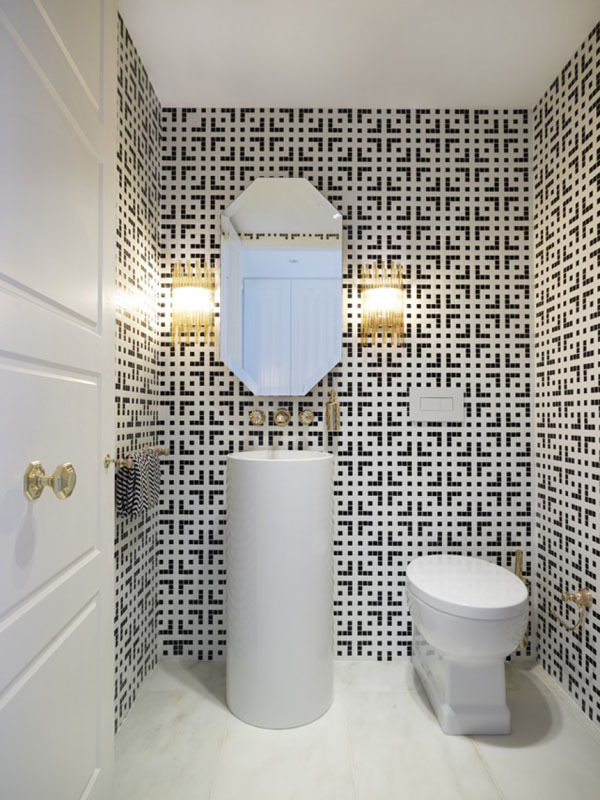 I'm attracted to his use of patterns (note the tile in the bathrooms almost seems like wall paper) and his mix of colors. 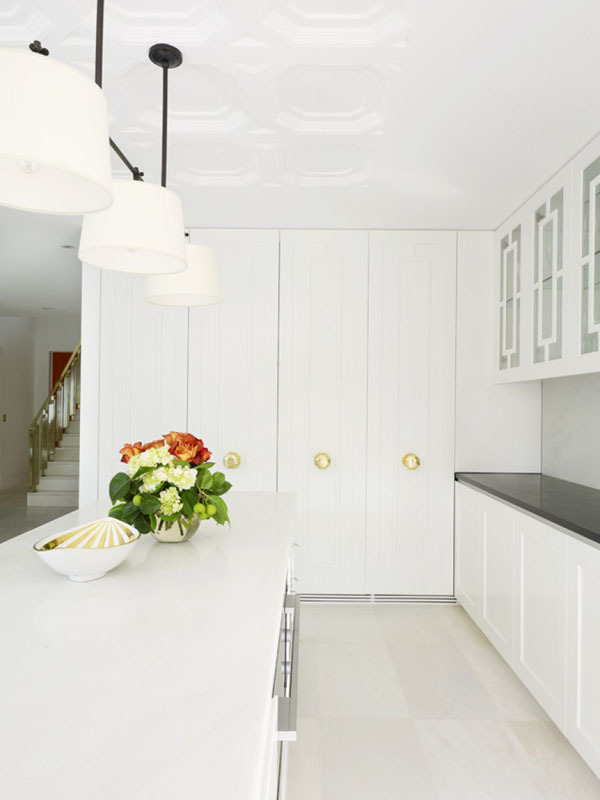 The kitchen is pretty cool too with those amazing pantry doors (or are they refrigerator doors? I see a vent at the bottom so they could be). Don't get me started on the stair handrail. I thought you would enjoy this eye candy. Really the bathrooms are my fave rooms in this house. 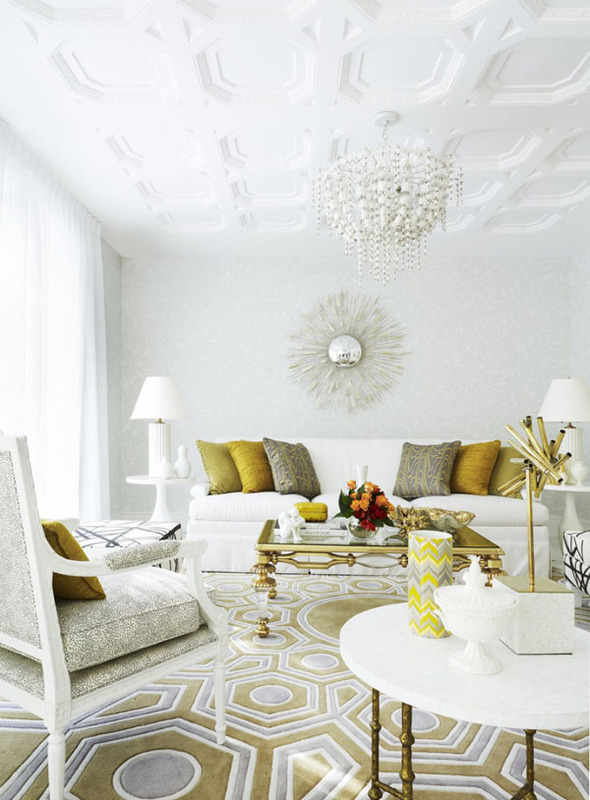 The tile patterns and color combinations are just too good. The rest of his portfolio is mouthwatering and I may need to do another post on just his kitchens. Check him out here. Ok. So this guy has hollywood regency glam down to a tee. Lord have mercy. Greg Natale is one of my fave designers!!! But I didn't have the time to take a look to his portfolio the last months so I didn't see all these new gorgeous interiors!!! Ooo loving the gold and white combo! Guaa Albertina amiga mía esos cielos!!! Que fantásticos . Además esa pared como con broches. No entendí como es eso. Será un papel mural??? Yo tengo una pared que me gustaría hacer algo entretenido .. He visto mucho de papeles murales .. Pero como el que tu postesate...no lo había visto nunca!!! Cómo no entiendo todo el inglés . Ese es papel mural??? These images are stunning. Especially love the bathrooms - AMAZING tile!! Completely insane, yes the bathrooms are my fave too! I have been a fan o his design work for quite some time. 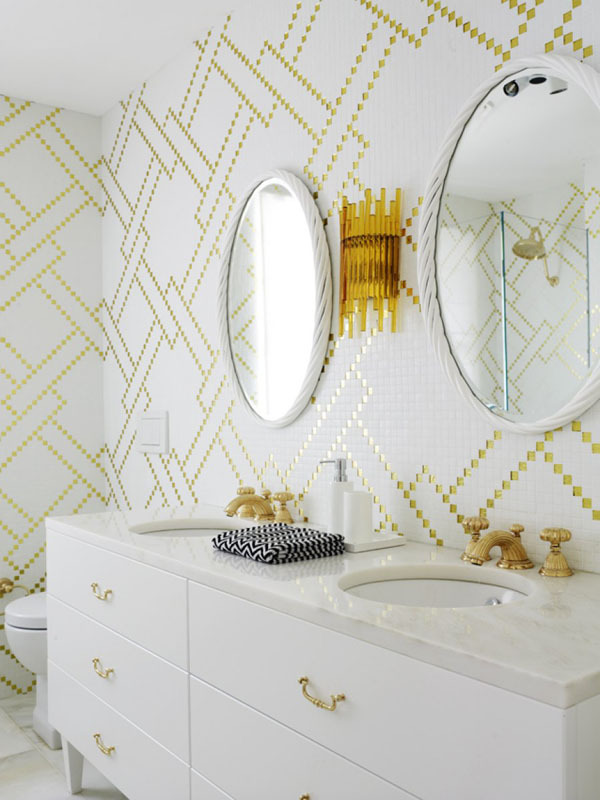 That gold bathroom is beyond stunning! 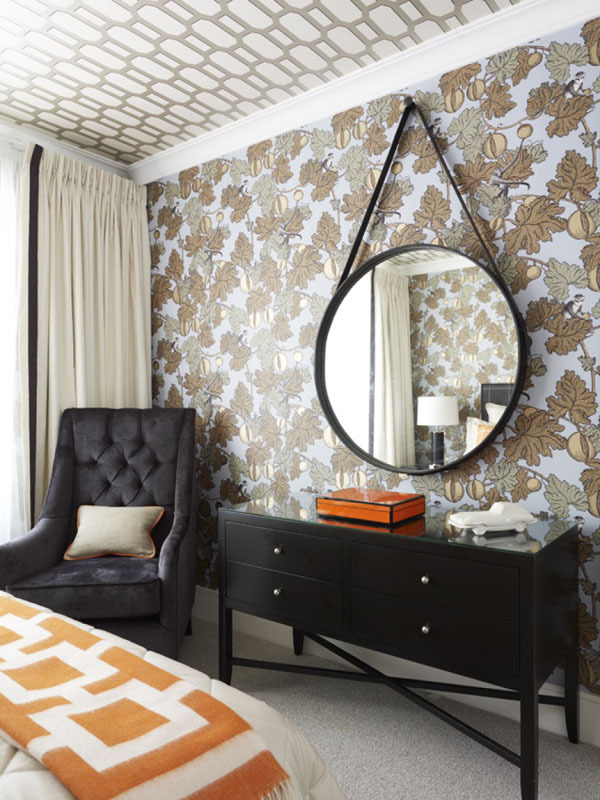 And that chevron wallpaper amazing! I have a new crush...thank you for the introduction. Oh my! I thought it was wallpaper until you said tile!! And now I'm completely smitten! I love how bold this is–and I'm with Julie...I totally thought it was wall paper! 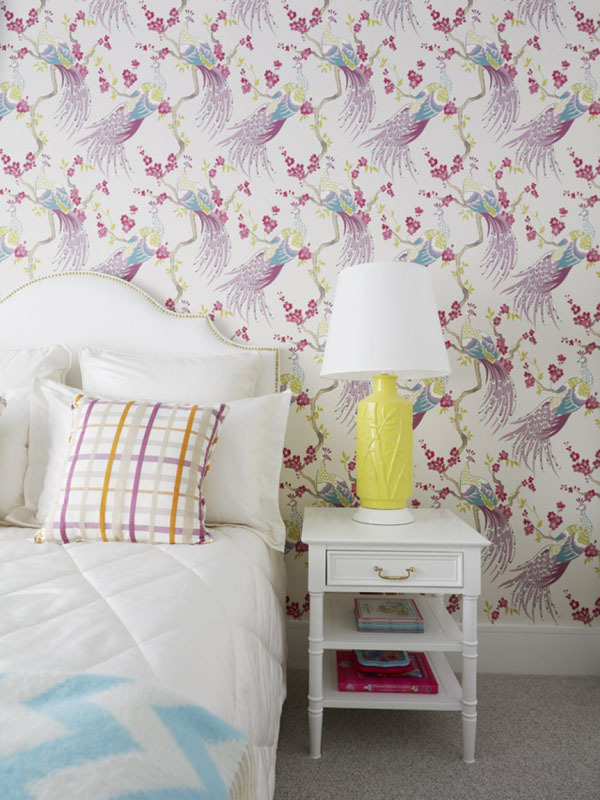 When I saw that first image on Pinterest, I was sure that was wallpaper! Had a note out to myself to source it even! Loved a look at all these beautiful images. Wow! Those first few ceilings are amazing. Great use of wallpaper as well! 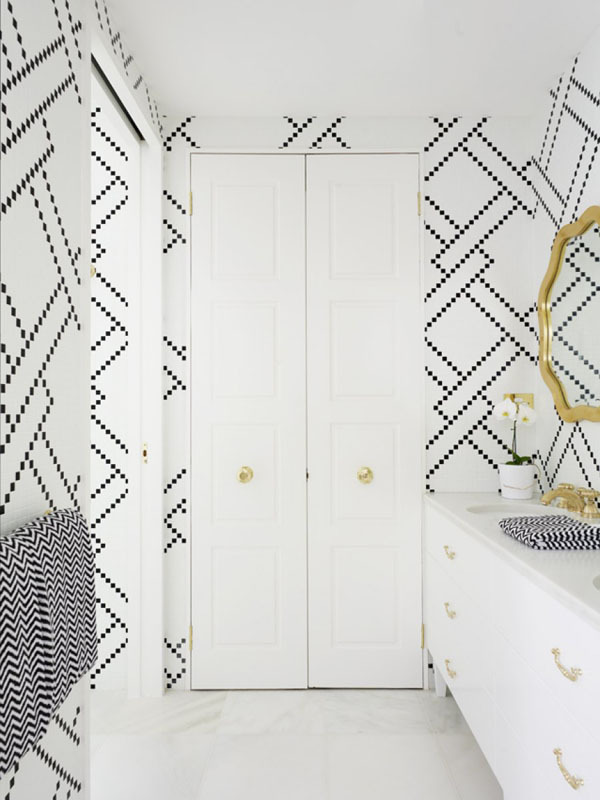 I've been looking for some great inspiration for my powder room! Thanks! Oh my... the tiled walls in the bathroom....incredible. 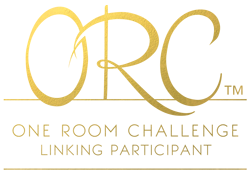 oh my my - these rooms are so so amazing! you're right - the bathrooms alone are the die for! I think I died and went to Heaven! Love the walls in that photo! Albertina gracias ..ahhh son cerámicos... Me fascinaron ,,,!!! WOW... Thanks for the intro to Greg Natale... HOT!!!! 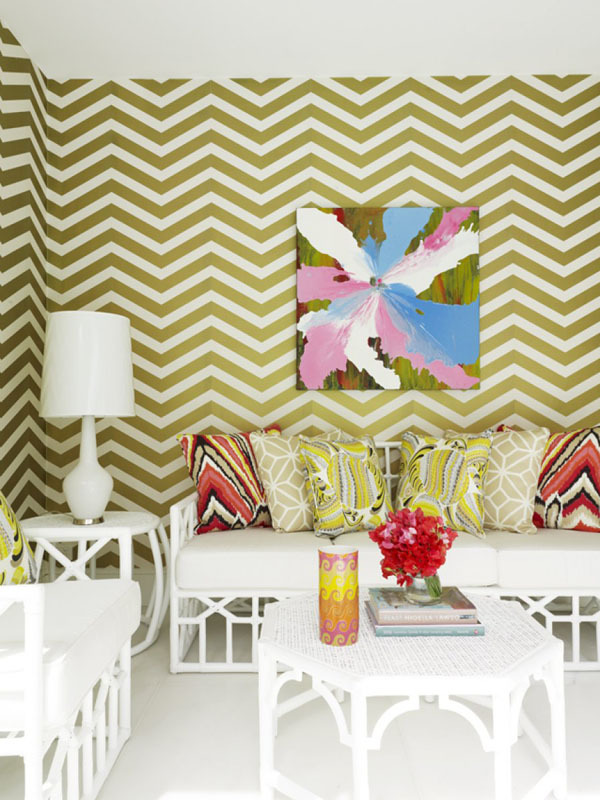 The room with the chevron wall paper and brightly colored painting... WOW... all of them. Wow. Especially loved the receded chandelier . 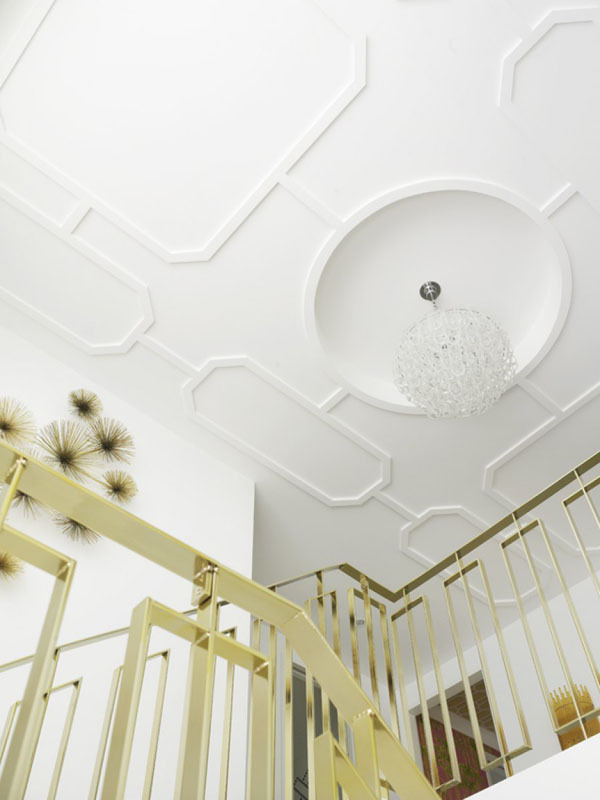 And the ceilings re to die for! Ummm this is absolute perfection! From the ceilings to the carpet - have mercy! AMAZING INSPIRATION in this post:) your blog is awesome and Im following.